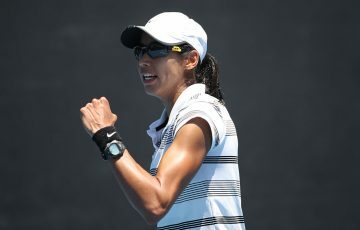 Sam Stosur enjoyed her first win of the European clay season with a comfortable win over Hsieh Su-Wei on Monday at the WTA Premier event in Rome. Sam Stosur has enjoyed her first win of the European clay season on her third attempt, with a comfortable 6-2 6-3 win over Taiwan’s Hsieh Su-Wei on Monday at the Internazionale BNL d’Italia in Rome. A French Open finalist in 2010, Stosur lost her opening matches at both Stuttgart and Madrid before tasting victory in the first round in Rome. 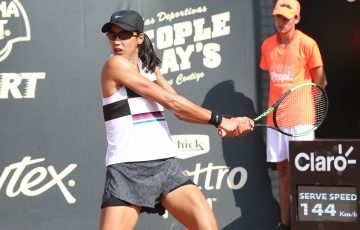 Stosur travelled to Italy to practice immediately after her first round loss to Carla Suarez Navarro in Madrid and the move paid off as the Australian No.9 seed served well and her forehand held steady in the windy conditions. “What I really like here is the surface, the clay courts are very light and the ball gets through the air pretty quickly,” Stosur said. Meanwhile, former Rome champion Venus Williams heads into the French Open in less than a fortnight without a win on European clay after losing 6-3 6-2 to Briton Laura Robson at the Foro Italico. Five-time Wimbledon winner Williams went down on the back of six double-faults, losing her serve five times. 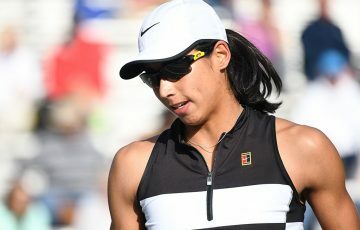 The Briton now faces a huge task as she takes on the younger Williams sister, Serena, after the American won her second straight title at Madrid with a 12th consecutive defeat of rival Maria Sharapova. German Sabine Lisicki also reached the second round over American Madison Burdette 6-1 6-2 but sixth seed and Madrid semifinalist Angelique Kerber of Germany withdrew with an abdominal strain. China’s Peng Shuai beat Romanian Monica Niculescu 4-6 6-3 6-2, setting up a second-round showdown with Stosur, a player whom she’s never beaten.